In this volume the presupposition is investigated whether women in a polytheistic society had a better position than women in a monotheistic society. To this end the social and religious position of women in Ugarit according to its literary texts is compared to that of women in Israel according to the Hebrew Bible, while the wider context of the ancient Near East is also taken into consideration. After an overview of feminist biblical exegesis, the book discusses the roles of women in the family and in society. 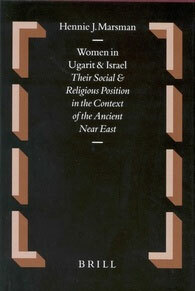 It also provides an analysis of the roles of women as religious specialists and as worshippers. Finally, the data on the position of women in the literary texts is compared to that in non-literary texts.